Ayman Hefny’s goal was the difference as Zamalek defeated Nogoom FC 1-0 in the Egyptian Premier League. 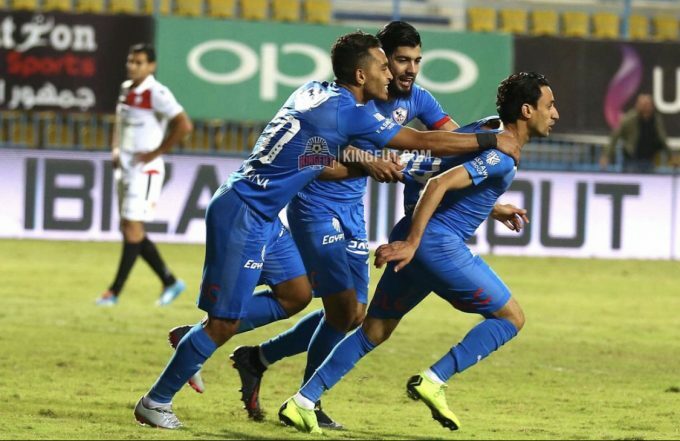 Later, Zamalek responded as they maintained position, however, they failed to create any dangerous chances until the referee blew the halftime whistle. Just eight minutes after the break, the Whites nearly took the lead through Hamid Ahdad, whose strike cannoned off the bar. In the 70th minute, Hefny came on to replace Ibrahim Hassan. Less than one minute after coming on, Hefny managed to break the deadlock for the White Knights. The super sub finished the ball from a close range after Nogoom’s defence failed to clear Yousef ‘Obama’s ground cross. After the win, Zamalek cement their position on top of the league table with 48 points and will face ENPPI on the 17th of February. Meanwhile, Nogoom occupy the 15th spot with 21 points ahead of their encounter against Ismaily on the 16th of February.